Get Your Top-Notch Translation Today! Cape Verde is an island country consisting of 10 different islands located off the coast of West Africa. Contrary to its name “verde”, which means “green” in Portuguese, the islands are not particularly green but rather sandy and dry. That’s why those islands originally weren’t inhabited. It was only when the islands became colonized by the Portuguese in the 15th century, that people started to settle on this archipelago of volcanic origin. Cape Verde became important in the Atlantic slave trade and thus attracted pirates and privateers. 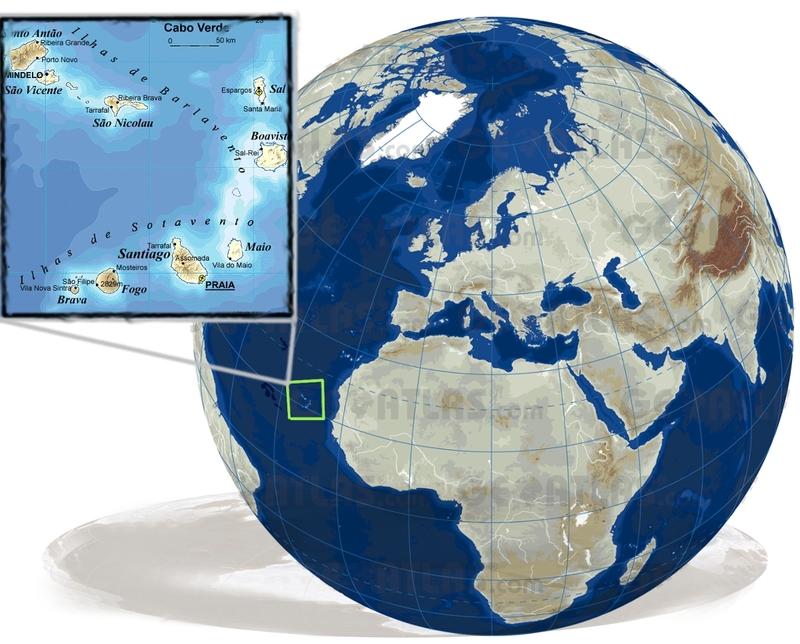 The population on Cape Verde is for the most part of Creole origin. Creoles are the descentants of the Portuguese colonizers and African population, who had been moved to the islands. They were thus of mixed race and usually both born and raised on Cape Verde. Due to tough economic times before and after the independence, Cape Verde suffered from a significant migration. Actually the Cape Verdians living abroad outnumber the estimated 500’000 citizens still living in the country. This means that Cape Verdean music is naturally influenced by music styles from all the places Cape Verdeans live today – be it Latin America, Brazil, Portugal, France, the USA or countries from African mainland. Due to the mixed European and African origins, the Cape Verdian culture and music themselves are a unique, transnational mixture of elements from both cultural backgrounds. National identity is rather fragmented though, as culture developed differently on each island. Whereas the northern islands tend to identify more with the Portuguese, the others have a closer cultural affinity with Africa. The official language is Portuguese, but each island has its own dialect and takes strong pride in its respective culture and language. Cape Verdean music incorporates influences from many different music styles. The Portuguese fado for example can be seen as the origin of Cape Verdean morna, which presumably has its roots on the island of Boa Vista. Morna is a slow-tempo, melodic song genre with poetic lyrics evoking themes of nostalgia. It traditionally features a lone singer, male or female, accompanied by acoustic instruments, such as cavaquinho (ukulele), violin, guitar and piano. The most common topics are the feelings of loss and longing, presented in a predominant melancholic mood, called “saudade”. The most famous singer of morna was Cesaria Evora. One of the oldest musical forms on Cape Verde is butaku, originally a women’s percussive music made from beaten rhythms on cloth and accompanied by male or female improvised singing. It is linked to similar lundum forms in Angola and on the African mainland and evolved on the island of Santiago, which undisputebly is the island with the strongest bond to African mainland. There currently are several Cape Verdean music groups reviving butaku. In an effort to acculturate the population of the island of Santiago, the Portuguese intruduced the accordion in the beginning of the 20th century. What originally was a try to bring Portuguese music genres to the island turned out as a complete failure, as the island population did adapt the accordeon but blended it with traditional African (badiu) music. This is how the so-called funana came into life. It is a fast-tempo dance music, which was prohibited under the Portuguese for its perceived sexuality of its rhythms and dance styles. The lyrics of the funaná generally talk about everyday situations, mentioning the sorrows and the happiness of quotidian life, but they also talk about social criticism, reflections about life and idyllic situations. It is traditionally played with accordion and ferrinho, a metal rod that is scraped with a knife. Tabanka is considered a deeply African song and is quite popular nowadays. It originates from the isle of Santiago and was traditionally collective ritual music associated with festivals honoring ancestors and village local identity. It is played by drums and conch-shell horns, accompanied by choral call and response singing, hand-clapping, chanting, and dancing. The coladera is an up-tempo urban dance genre, usually accompanied by satirical lyrics and influenced by Latin American rhythms. It originates from Mindelo, Sáo Vincente and is frequently mixed with zouk to become cola-zouk or cabo-zouk. Cape Verdean music also has strong influences from Brazilian bossa nova and samba as well as from Carribean music (zouk). The Cape Verdeans had their own kind of zouk from the 1980s. Africa Camino 2012 Canada Cape Verde Fighting Poverty Music Music I love My Music Round the world Switzerland Tis & Tat Welcome!